We are delighted that the following artist/scholars have joined our Advisory Panel for the 2016-17 season, which has the thematic focus Extraordinary Lives: Difference and Ability. Sage Willow is a local multidisciplinary queer non-binary Deaf artist and educator. Aside from their community work, they also provide performance interpreting in ASL for the local community, incorporating their passions of languages, theatre and accessibility into pieces of art. Willow also founded Deaf Spectrum, a collective that promotes the usage of American Sign Language to make community spaces more accessible and inclusive. 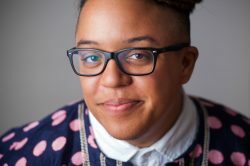 Eliza Chandler earned her PhD from the Social Justice Education department at OISE/UofT and is an assistant professor in the School of Disability Studies at Ryerson University. 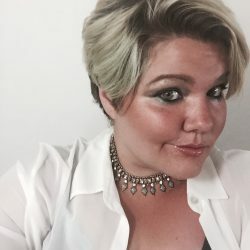 From 2014 to 2016, she served as artistic director at Tangled Art + Disability, an organization in Toronto dedicated to the cultivation of disability arts, and was a postdoctoral research fellow in Ryerson’s School of Disability Studies where she researched the development of disability arts in Canada. A practicing disability artist and curator, Chandler co-directs the disability arts community group Project Creative Users, and is the founding artistic director of Tangled Art Gallery, Canada’s first art gallery dedicated to showcasing disability art and advancing accessible curatorial practices. Starting in fall 2016 she will be co-director of a Social Sciences and Humanities Research Council (SSHRC)-funded partnership project, Bodies in Translation: Activist Art, Technology, and Access to Life. This seven-year, multi-partnered research project considers the close relationship between art, accessibility and social change as it contributes to the development of activist art, aesthetics, curriculum and accessible curatorial practices across Ontario. Chandler is also currently the president and program chair of the Canadian Disability Studies Association and serves on the Ontario Art Council’s Deaf and Disability Arts committee. Her most recent publication is Strange Beauty: Aesthetic possibilities for desiring disability into the future in the Manifesto for the Future of Critical Disability Studies (forthcoming). She regularly give lectures, interviews and consolations related to disability arts, accessible curatorial practices, and disability politics in Canada. Syrus Marcus Ware is a visual artist, activist, curator and educator who serves as coordinator of the Art Gallery of Ontario Youth Program and as a facilitator/designer at The Banff Centre. As a visual artist, he uses painting, installation and performance to explore social justice frameworks and black activist culture. His work has been shown widely, including at the University of Lethbridge Art Gallery, Art Gallery of York University and The Gladstone Hotel in Toronto. Recent curatorial projects include That’s So Gay: On the Edge (Gladstone Hotel, 2015 & 2014), Re:Purpose (Robert McLaughlin Gallery, 2014) and The Church Street Mural Project (Church-Wellesley Village, Toronto 2013). Ware is a member of the PDA (Performance Disability Art) Collective and co-programmed Crip Your World: An Intergalactic Queer/POC Sick and Disabled Extravaganza for Mayworks 2014. He is part of Blackness Yes!, a community-based committee that works to celebrate Black queer and Trans history, creativity and resistance, and co-produces Blockorama at Pride and other related events throughout the year. Syrus is a Sylff Fellow and Vanier Scholar, and a PhD candidate in the Faculty of Environmental Studies at York University. Sarah Garton Stanley is associate artistic director, English Theatre and interim facilitator, Indigenous Theatre at Canada’s National Arts Centre. She curates The Collaborations and leads The Cycle research initiative for the NAC. The 2026-17 Cycle focuses on Deaf, disablity, mad arts and inclusion. Stanley is also artistic director and co-creator of SpiderWebShow, and co-director of Toronto’s Selfconscious Theatre, where she created The Book of Judith with Michael Rubenfeld and Judith Snow. Stanley has directed and dramaturged work from coast to coast as well as internationally over the course of her 25-year professional career. 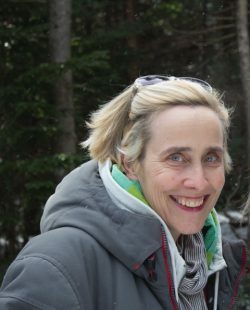 The recipient of the Elliot Hayes Award for excellence in dramaturgy, she served as artistic director of Toronto’s Buddies in Bad Times Theatre, co-founded The Baby Grand Theatre in Kingston, and co-created the Women Making Scenes collective in Montreal and Die in Debt Theatre in Toronto. 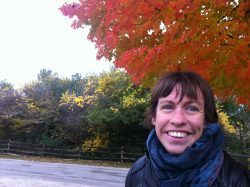 An alumna of École Jacques Lecoq in Paris, the Vancouver Film School and Queens University, she teaches at Queen’s and the National Theatre School.